Choose the category that best describes your request. Choose this category if you need a marketing/advertising campaign for your MWR event - big or small. Submit requests for your day-of-event needs (directional signs, menu boards, display banners, etc.) under the "MWR" section. Choose this category if you are an MWR facility or program. Requests under this category may include: Day-of-event needs (directional signs, menu boards, display banners, etc. ), business cards, name tags and certificates, forms and program brochures/materials. Choose this category if you are NOT an MWR facility or program but ARE a JBLM unit or directorate. Pre-payment required. Requests under this category may include: banners, signs, electronic readerboards and LCD TV ads. 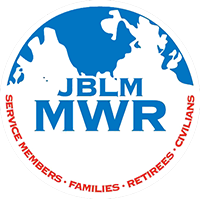 * If you are an "on base" business/program but are not a JBLM unit or directorate or are an "off-base" commercial business/program and are interested in advertising with MWR, please contact our Corporate Partnerships Office at 253-966-2256 or 253-967-7942.